Thank you, Ms. Cole, for showing us all that there is more to the world than what you can fit in between two slices of bread (or two halves of a hero). You don't need lettuce, tomato, and mayo to make you feel full inside on a chilly Thursday afternoon. 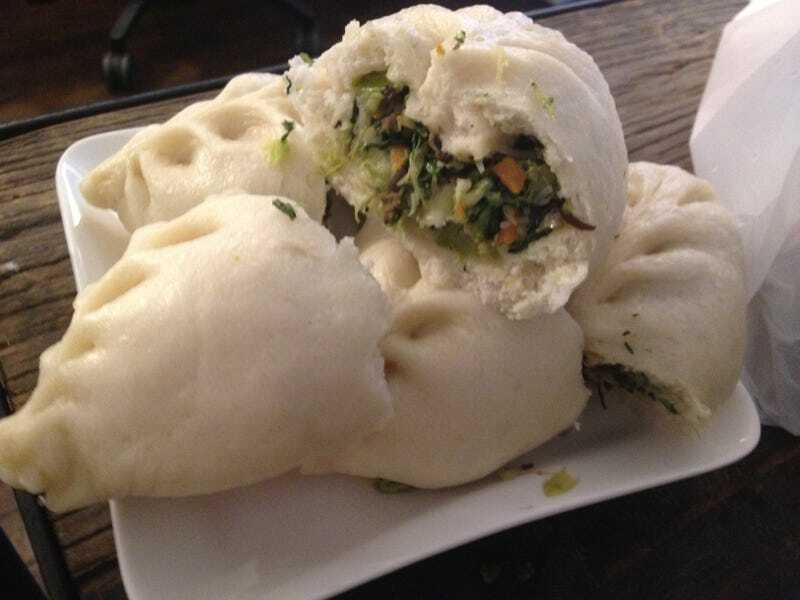 Sometimes you need a little seasoned pork, chicken, or veggies, pinched lovingly inside some fluffy dough from the FAMED and GLORIOUS institution that is Vanessa's Dumpling House in nearby Chinatown. And it was just in time, breakfast was over at like, 10.